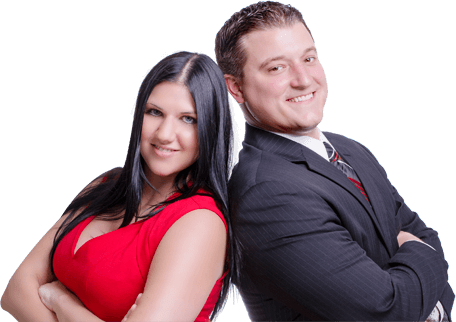 We are full-time Realtors with extensive market knowledge and experience. We will work closely together to find the right home for you, no matter how long it takes! Our goals and intentions are to closely listen to you and fully understand what is important to you as we move through this process together. Once we establish your needs, we will provide guidance to financial institutions where you can obtain information to get the best financing available. We will meet to discuss your needs as well as the overall purchasing process. Once you have obtained an official pre-approval letter from a financial institution, we will review the properties available for sale, based on the criteria we established in our initial consultation. Whether they are Keller Williams’ listings or another real estate company’s listings, we will set you up to receive an email notification the minute a new property that meets your criteria hits the market. We will have full access to ALL available properties for sale. The more precise and direct you are with us, the more successful our search will be. We be required to arrange and schedule formal private showings for the properties we identify that best fit your needs and wants. We usually recommend that we do not see more than 5 to 6 homes at one time, as this can become confusing and difficult to remember the specific features each property had to offer. We will make ourselves available to accommodate your schedule and availability. Once we have found the home you wish to purchase, we will complete the necessary up-front research to help you prepare the best possible offer, and ensure that you can make a confident and informed decision moving forward. We will prepare the purchase contract to submit for the subject property, and advise you on the conditions and terms of the offer. We will also discuss specifics such as closing date, offer amount, any conditional requests to be made up front, as well as any non-real estate related items that you would like to request with the purchase of the home. We will present your offer to the listing agent and ensure that we receive a prompt response from the seller. At this point in time, the Seller has three options: they can accept your offer, counter your offer, or reject your offer and ask you to resubmit a better offer. Our negotiating experience allows us to get you the best possible price, and most favorable terms that fit your specific needs and circumstances. We will review the Sellers response with you and determine what the next best move would be to come to an agreement with the selling party. When the Purchase contract is accepted and signed by all parties you will have 72 hours to get the Earnest Money and Option checks to the Title Company. The Title Company will be responsible for opening escrow and holding your Earnest Money in an escrow account. Earnest Money is required for any contract, and is known as “good faith money”, which indicates to the seller that you are showing genuine commitment to purchasing their home, in the form of this up-front deposit. Earnest Money is generally 1.0% of the agreed upon sales price, and is credited to the buyer’s down payment upon closing and funding on the subject property. The option period is specified in the contract offer, and is utilized by the buyer to get inspections done on the property, obtain an insurance quote for the home, and negotiate any repairs that need to be made prior to closing. You may back out of the contract during this time (usually 7-10 day period) without any restrictions, and receive your earnest money back. The option fee is negotiable and paid for by the buyer, and is usually $10 to $25 per day requested. This fee is essentially what allows the buyer to take the home off of the market for their diligence/feasibility period. Upon receiving the inspection reports, we will review and discuss with you what items are most important to you, and what request you would like to propose to the seller. *It is important to note that the buyer will be responsible for paying the up-front fees associated with any inspections they have conducted at the subject property. We recommend that our clients have a structural/mechanical inspection (ranges from $400 to $600), as well as a termite inspection performed at every property they consider purchasing (ranges from $100 to $200). In some cases, the buyer may need to have additional specialized professionals visit the property for further diligence. This is the time allowed per your purchase contract to obtain financing (usually 21 day period). If the buyer is unable to obtain full financing approval during the specified time period, the buyer can back out of the contract and received their refunded earnest money. You will need a Cashier’s Check or wire transfer several days prior to the closing date for your down payment. You will receive a document known as the Closing Disclosure form your lender, that will inform you of your actual monthly payment, as well as the funds you need at closing, for your down payment. The Closing Disclosure form must be received, acknowledged, and signed by the buyer 3 full days prior to the closing date. 12) Closing On Your New Home! When all of the conditions of the purchase contract have been met and a final walk-through has been performed for the subject property, you will sign your loan documents and closing papers at the title company. The deed will be recorded by the County Recorder’s Office and you will take ownership of the home! Congratulations! Our intention from this point on, is to be your Realtor for life!